A yoga class for children 2-5 years old, held in the JEA Yoga room at various times throughout the year. Class size is limited to 10 children per day. Enrollment is on a first-come, first-served basis and open to JEA Preschool Savannah students as well as JEA Members. Class is $50 for six sessions. Mindy Gordon Lasky is currently training to be a yoga instructor. She is certified to teach Kidding Around Yoga, a program designed specifically to teach this ancient practice in a fun and interesting way to children beginning at age 2. Mindy has truly found her passion as she combines her love for children and yoga. Mindy believes that yoga can help the very young child find calm within themselves through the practice of balance, focus and love. Private, semi-private and group swimming lessons are available for all ages. Lessons are offered in 30 minute sessions, and can be arranged during school hours with any available instructor! For more information, contact aquatics director, Kirby Southerland at aquatics@savj.org. Kirby Southerland has been teaching swimming lessons for more than 10 years, and has experience working with all ages of students, from 6 months to 70 years. Her mission is to inspire everyone to have a positive relationship with the water that is one that will last a lifetime. 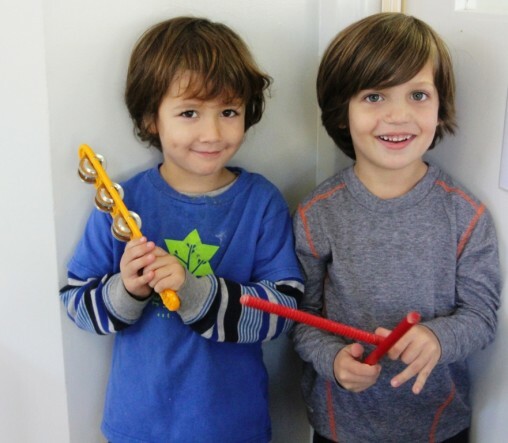 Tuneful Tykes is a specialized afternoon music class which helps children prepare for future instrument playing. The children learn to sing tunefully, move expressively and rhythmically, appreciate and create their own music, and develop age-appropriate musical concepts. The teacher, Mrs. Angela Powell, has been trained in Level 2 of the Orff-Schulwerk philosophy. This method uses various aspects of music education to allow children to internalize what they experience through singing, movement, rhythmic games, improvising music and more! Class is $45 for six sessions.